We give a great concert. Hire us for your special event. We enjoy entertaining audiences. Freedom Valley's Autumn tea Is October 19. Freedom Valley Chorus is part of Sweet Adelines International, an amazing group of real women, singing real harmony and having real fun. Our chorus invites women to enrich their lives by realizing their full singing potential. 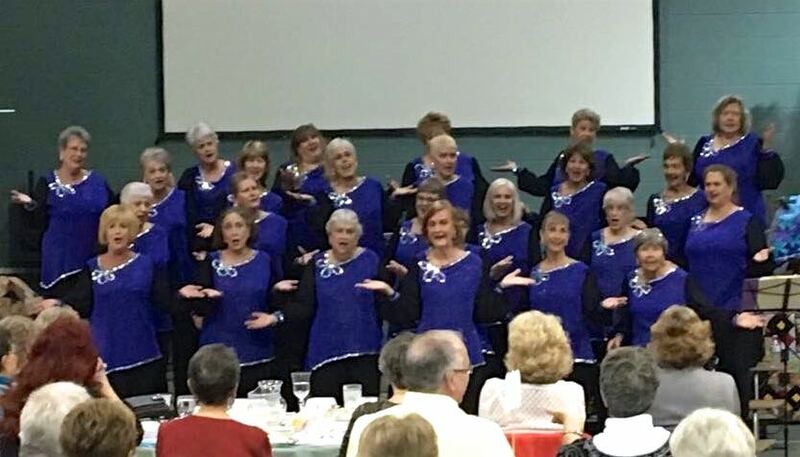 You are invited to visit a Freedom Valley Chorus rehearsal on Mondays at 6:30 PM at St Paul United Methodist Church located at 750 Norland Avenue, Chambersburg. It is the perfect way to find out more about us and what we can do for you! Want Freedom Valley Chorus to sing at your next function? 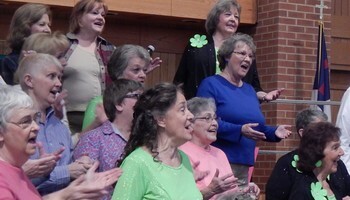 Why not hire Freedom Valley Chorus to entertain at your next event? We can perform at corporate functions, charity events, community Entertainment events, birthday parties, christmas parties, awards nights, weddings, engagements, anniversaries, engagements, and even funerals and memorial services.